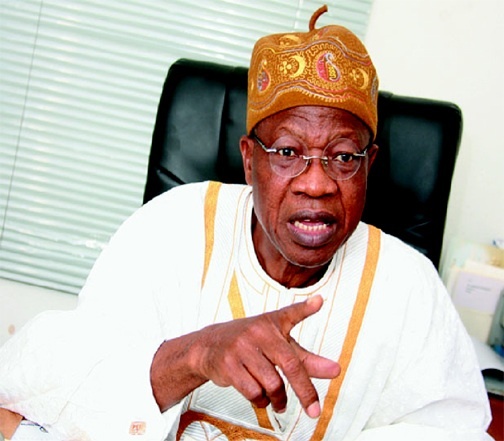 Anyone waiting endlessly in line for fuel, don’t look elsewhere for who to blame, put the blame on the past President Goodluck Jonathan, says the Minister of information, Lai Mohammed. Speaking to the State House Correspondents at a Federal Executive Council (FEC) meeting presided by the President, Muhammadu Buhari, Lai Mohammed defended his boss and counselled the citizens to lay the blame at the right door. He said the fuel shortage is due to the past administration’s failure to provide adequate fuel subsidy. “What I will be telling Nigerians is that what we met on ground is such that we are paying for the sins of the last administration. I am being very serious. You remember that about two weeks ago, we had to go to the National Assembly for a supplementary budget of N674 billion. “Of that figure, N522billion was for arrears of fuel subsidy which was incurred as far back as August last year, he said”. Mohammed argued that the fuel crisis is not a problem of availability, but a distribution problem which the current administration promises to resolve. ZAAPOST is a people driven news platform focused on engaging people to contribute ideas and discuss trending news around the world. Is INEC Maltreating Youth Corpers? Buhari Says He’s Disappointed INEC Postponed Election. Who is to Blame? Copyright © 2016 ZaaPost.com, Inc. All rights reserved.